U.S. 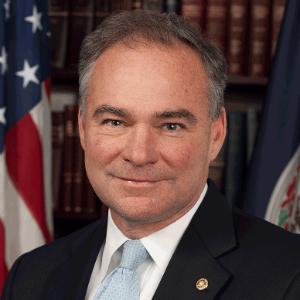 Senator Tim Kaine, a member of the Senate Armed Services Committee, comments on the Committee’s Fiscal Year 2018 National Defense Authorization Act (NDAA), which includes numerous provisions he advocated to benefit Virginia’s shipbuilding industry, defense community, servicemembers, and their families. The bill was reported out of committee on a unanimous, bipartisan vote today and will now advance to the full Senate for consideration. “After extensive debate over hundreds of amendments, the Senate Armed Services Committee continued its streak of bipartisanship with a unanimous vote of support for this year’s defense bill. This legislation has many provisions that will strengthen our national security while benefitting Virginia’s hardworking defense community and supporting our servicemembers and their families. We provided over $10 billion in additional funding to the Navy to support shipbuilding, ship repair and other priorities that will not only maintain our carrier fleet, but also bolster our presence around the globe. I’m proud that my other priorities — improving TRICARE medical coverage, expanding cyber security scholarships, and fully funding our family assistance programs — were also included in the legislation and will have a positive effect on the daily lives of Virginians. Supports Shipbuilding: Funds the procurement of USS John F Kennedy (CVN-79) and USS Enterprise (CVN-80), and the refueling and complex overhaul (RCOH) of USS George Washington (CVN 73) and USS John C. Stennis (CVN 74). The bill also provides an additional $450 million for procurement of either a third Virginia-class submarine or to expand the submarine industrial base in preparation for the Columbia-class submarine program. The bill also authorizes over $9 billion in ship depot maintenance and operations support. Supports Servicemembers and Military Families: Funds a 2.1% pay raise for servicemembers and requires the Department of Defense (DoD) to begin evaluating a process to assist military spouses with transferring professional licenses and credentials across state lines. Kaine heard from military spouses about this issue in Hampton this spring. After hearing the concerns of constituents and military family advocacy groups, Kaine worked to include a provision in the bill that would authorize hospice care services for TRICARE beneficiaries under the age of 21. The NDAA also includes an amendment by Kaine that directs the Secretaries of Defense and Veterans Affairs to discover new areas of cooperation on suicide prevention. Builds on Kaine’s Work to Improve Credentialing for Servicemembers: Requires DoD to update Congress on its progress toward implementing veterans’ credentialing provisions championed by Kaine in previous defense bills, which will reduce veterans’ unemployment by ensuring that servicemembers receive high-quality accredited credentials for a more successful transition to civilian employment. DoD Cyber Scholarship Program Act: Includes key provisions of Kaine’s bill, the DoD Cyber Scholarship Program Act, which would boost the cybersecurity workforce by reinvigorating a DoD cyber scholarship program that was threatened by sequestration cuts and directing five percent of scholarships toward community college students. DoD has not previously awarded scholarships to community college students; expanding the program to these students will broaden the talent pool and fill key cyber workforce gaps at DoD. There are fifty-two, two-year institutions that would qualify for scholarships, including four in Virginia: Danville Community College, Lord Fairfax Community College, Northern Virginia Community College, and Tidewater Community College. Boosts Ability to Deter Russia: Includes a Kaine provision that would direct the Minerva Research Initiative, DoD’s social science research program, to expand research on the social forces behind information warfare. Citing the Director of National Intelligence’s report on Russia’s hacking operation during the 2016 election, the bill directs Minerva to fund research on ways to identify and counter fake media, misinformation, and other technical aspects of information operations. The NDAA also increases the strength of U.S. partnerships with European Allies by stabilizing funding for the European Deterrence Initiative and improves cooperation with European forces to help respond to Russian military aggression. Puts Committee on Record Against Sequestration: Includes an amendment demonstrating the Committee’s support for the unconditional repeal of the Budget Control Act. Authorizes Military Construction (MILCON): Authorizes over $350 million in critical military construction projects throughout the Commonwealth including Dam Neck, Portsmouth, Yorktown, Ft. Belvoir and Joint Base Langley-Eustis. No BRAC Round: Rejects DoD proposals for a new Base Realignment and Closure (BRAC) round.